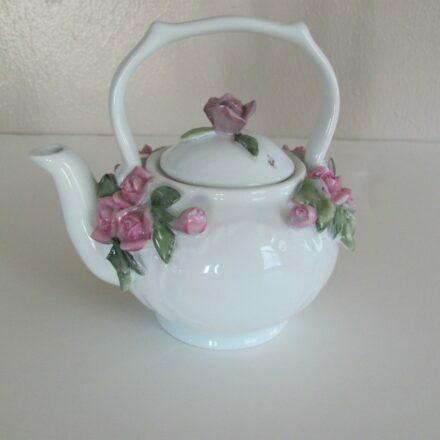 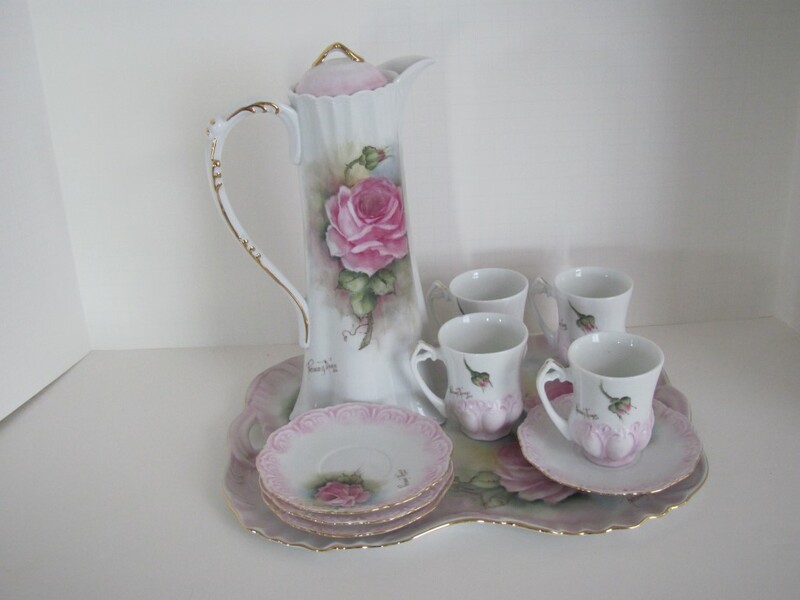 Home / TEA POTS, TEA SETS, CHOCOLATE & COFFEE SETS / Fancy Scrolled Chocolate Set – Pot with 4 Cups & Saucers 9 pc. 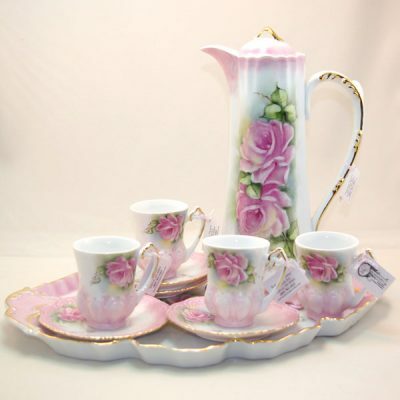 Fancy scrolled chocolate set, Pot with 4 cups & saucers–9 pieces-101/2′”pot with fancy dainty demitasse cup & saucers–4 oz.–3″, Serve chocolate or coffee in this splendid showy piece, You will delight your guests with this precious set, one-of-a-kind. 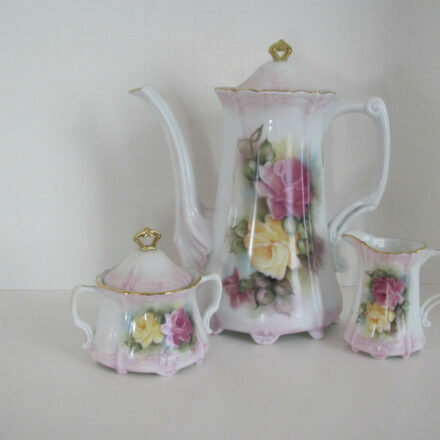 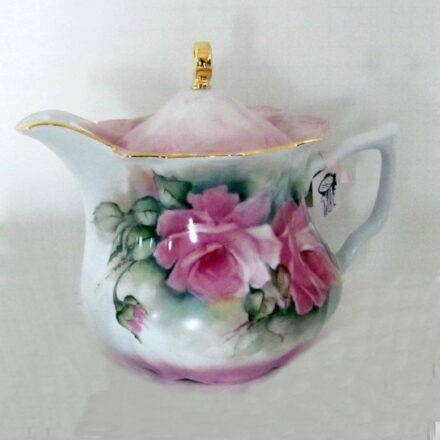 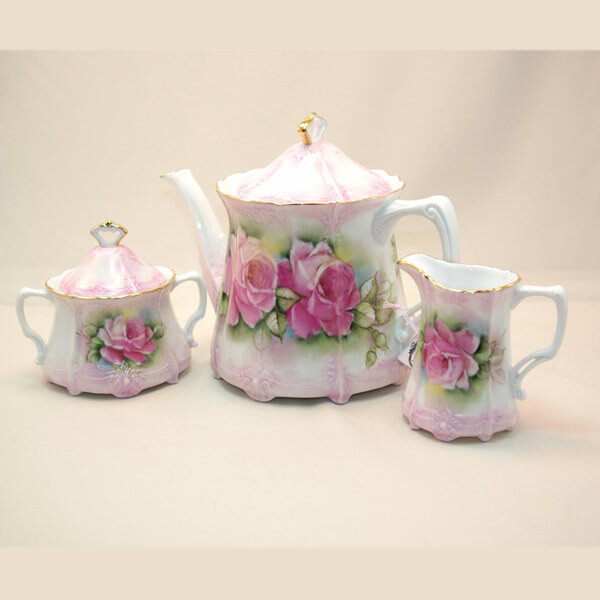 Baronese Tea Set – 3 pc.